Lease for $145 a month, for 36 Months, 10k Miles per Year. First month payment required. Taxes/DMV/Bank Fee required – IDL if applicable – Returning or competitive lease required. Lease for $185 a month, for 36 Months, 10k Miles per Year. First month payment required. Taxes/DMV/Bank Fee required – IDL if applicable – Returning or competitive lease required. 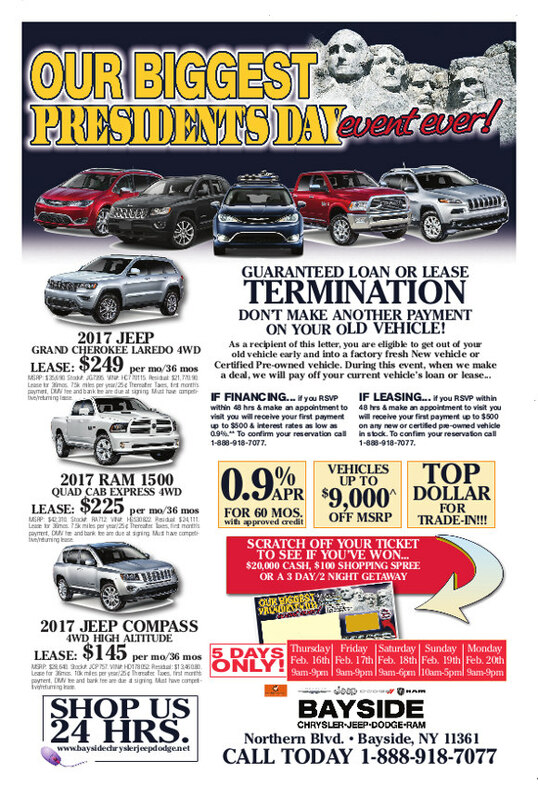 Also for the month of March, numerous new vehicles are specially price for up to 20% off MSRP including on 2017 Dodge Chargers, 2017 Dodge Journeys and more! Click the link to find out more! 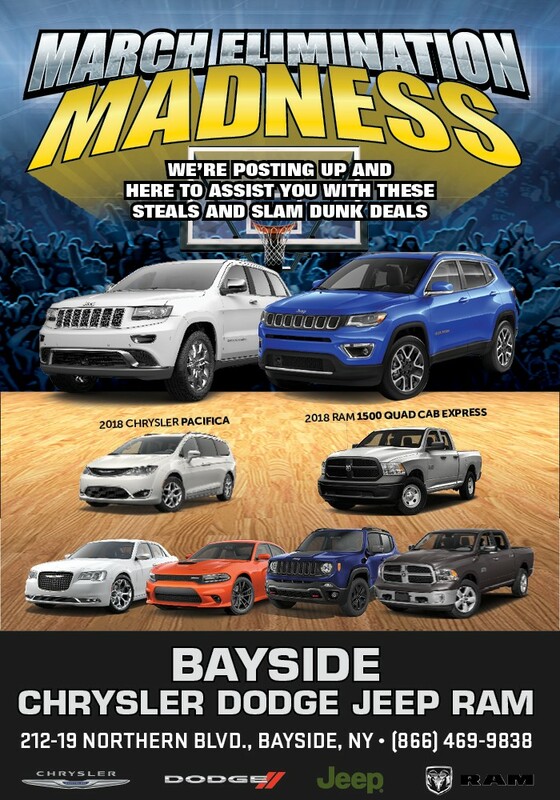 Bayside Chrysler Jeep Dodge’s Biggest President’s Day Sales Event has been extended until February 28th! To see how you could get financing for as low as 0.9% APR for 60 months with approved credit, visit the main site here. Lease for $165 a month, for 36 Months, 10K Miles per Year. First month payment required. Taxes/DMV/Bank Fee required – IDL if applicable – Returning or competitive lease required. Lease for $229 a month, for 36 Months, 10K Miles per Year. *Lessee responsible for maintenance and all excess wear/tear. Based on the purchase of a new vehicle. All offers subject to approval by primary lender. Not responsible for typographical errors or program allowance changes prior to publication. In stock vehicle only. Chrysler, Jeep Dodge & Ram are registered trademarks of Chrysler Group LLC. The advertised price does not include sales tax, vehicle registration fees, other fees required by law, finance charges and any documentation charges. 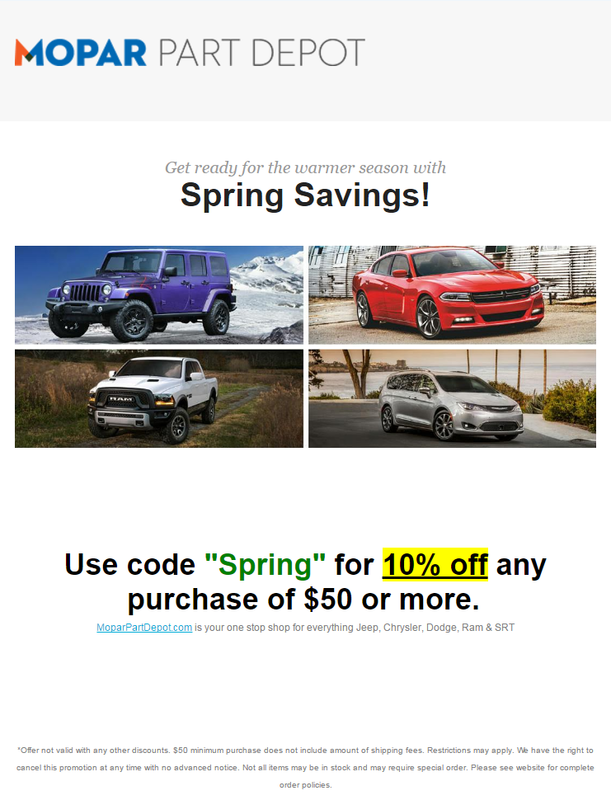 Images, pricing and options shown are examples, only, and may not reflect exact vehicle color, trim, options, pricing or other specifications.